This third book about the Mystic Sisterhood at Wyldcliffe Abbey School for Young Ladies is another romantic thriller with paranormal elements and deep mystery. This time our heroine is Sarah Fitzalan, the dependable, faithful friend to Evie and Helen, her sisters in the Mystic Way. But this term Sarah finds that their friendship is tested to the limits. Evie is turning her back on the Mystic Way after the sisterhood laid her beloved Sebastian’s soul to rest; Helen is distracted; and a new girl, wild child Velvet Romaine, seems set on stirring up more trouble at Wyldcliffe. Sarah struggles to keep the sisterhood together as the threat of attack from the dark coven looms. 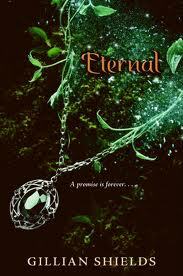 Categories: Coming soon, Paranormal, Romance | Tags: Gillian Shields | Permalink.